Maybe that wasn't all that much of a marquee matchup. Should've gone with Calgary-Chicago. I guess I overlooked that because of Chicago's two losses in its first four games. But anyway. The Penguins beat the Senators, 4-1, to improve to 4-0 on the road and 5-1 overall. I said this game was Ottawa's first real test, and the Senators didn't impress very much. They were, however, horribly unlucky. 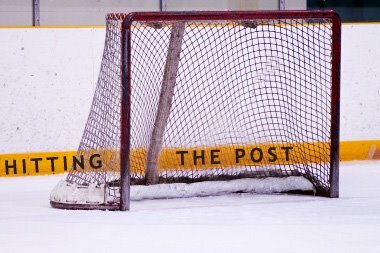 Ottawa players hit several posts during the game, and if any one of them had gone in, it could've changed the outcome. Having said that, Ottawa's top line - Mike Fisher, Daniel Alfredsson and Alex Kovalev - didn't show up at all. I wrote earlier this month that Kovalev may be more of a headcase than Dany Heatley. He's certainly one of the game's biggest enigmas. Well, the bad Kovalev showed up tonight. He missed a wide open net on a chance, made several careless turnovers and took a needless penalty. Alfredsson, normally one of the top Penguins killers, was completely invisible. Jason Spezza, put on a line with Jonathan Cheechoo and Milan Michalek, was the best Senator on the ice. Pascal Leclaire was a very close second. Spezza has been off to a very rough start but did a lot of good things Monday in probably his best game of the season. Leclaire, if he stays healthy, has solved Ottawa's goaltending issues. One other thing about the Senators: They didn't show much heart or urgency after falling behind 4-1 on a Jordan Staal goal in the third period. They even had a lengthy 5-on-3 man advantage late. Scoring on both ends, or even once, would definitely have made things interesting. Marc-Andre Fleury was fantastic, but it wasn't until the last two minutes when Chris Neil started some rough play that Ottawa showed signs of life. By then, it was too late. An impressive facet of the Penguins' win was Sidney Crosby and Evgeni Malkin had no points on any of the four goals. That doesn't happen often. Great work by guys like Anton Volchenkov and Chris Phillips to keep them in check. Two lucky bounces resulted in Pittsburgh's first two goals. A Joe Louis Arena-like bounce allowed Bill Guerin to get to a rebound of his shot and punch it behind Leclaire, just 39 seconds after Milan Michalek scored his first goal as a Senator on a nifty play by him, Cheechoo and Spezza. That's one of the best things about the Penguins. When the opposition scores, Pittsburgh is capable of a very quick response. Twice against Philadelphia, the Penguins countered a Flyers goal with one of their own within three minutes, including one of 28 seconds. In their most recent game, the Penguins again countered two Maple Leafs goals with one of their own within 67 seconds. Monday's was just the latest example. Tyler Kennedy is emerging as a very good goal scorer. He was the recipient of the other lucky bounce but also rifled a powerful slap shot past Leclaire in the second period for a 3-1 lead and his second goal of the game. He's now tied with Crosby for the team lead with four goals, including three game-winners. Malkin is a little perplexing this season. Maybe it's not having Petr Sykora on his line this season, or having Max Talbot hurt and out of the lineup, but Malkin has yet to really display his point-producing abilities. He still has seven points in six games, but only two goals and isn't shooting the puck much. Crosby's been interesting too. He's actually shooting the puck more than Malkin and has just one assist this season, but four goals. The Penguins are 5-1 and their two best players haven't really gotten going yet. One reason is Fleury is playing very well, giving up two goals or less in three of his five starts, and the defense is blocking a lot of shots, led by NHL leader Jay McKee (20) and Mark Eaton (7th, with 15.) Jordan Staal now has goals in three straight games. Pittsburgh is playing rather well so far, and once Malkin and Crosby get on track, the team will be very dangerous.